The Taraxacum pendant luminaire by Achille Castiglioni for Flos convinces with its extravagant appearance, which is an eye-catcher in any ambience. The luminaire is based on a steel construction covered with a special structure, which acts like the cocoon of an insect. 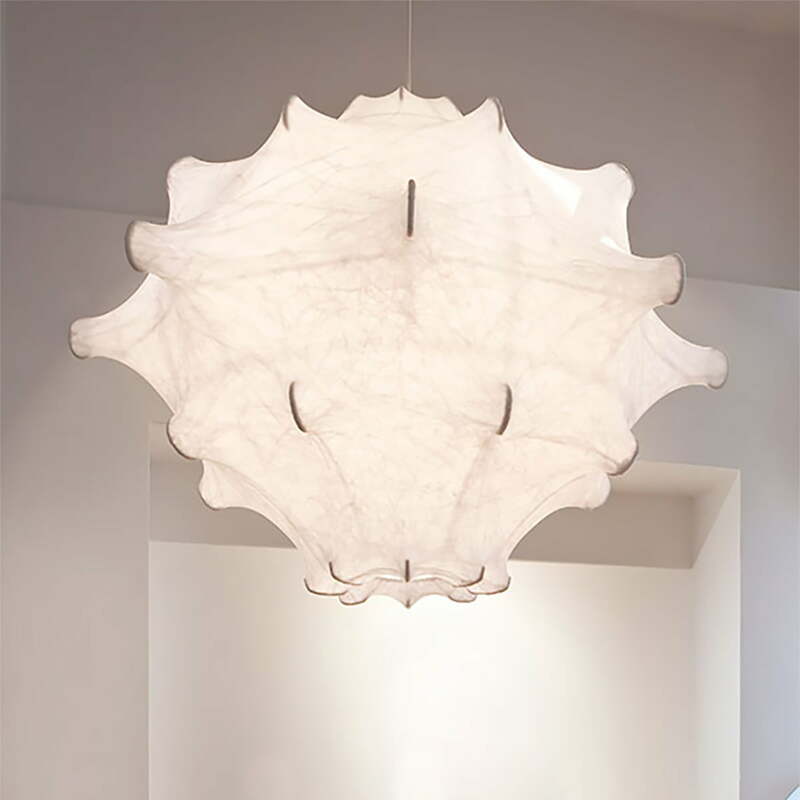 The lampshade is created by a coating of unique cocoon resin, which appears particularly natural and creates a semi-transparent surface. When switched on, the light structure creates an exciting interplay of light and shadow in the room, creating a cosy atmosphere. The diffuse light gently illuminates the surroundings without glare, making the luminaire ideal for use above the dining table or as corridor lighting, for example. The Taraxacum pendant luminaire is available in different sizes, which can also be easily combined with each other suspended at different heights. Taraxacum 1 pendant lamp Ø 68 cm in white from Flos in single view. The luminaire is based on a steel construction covered with a special structure, which acts like the cocoon of an insect. 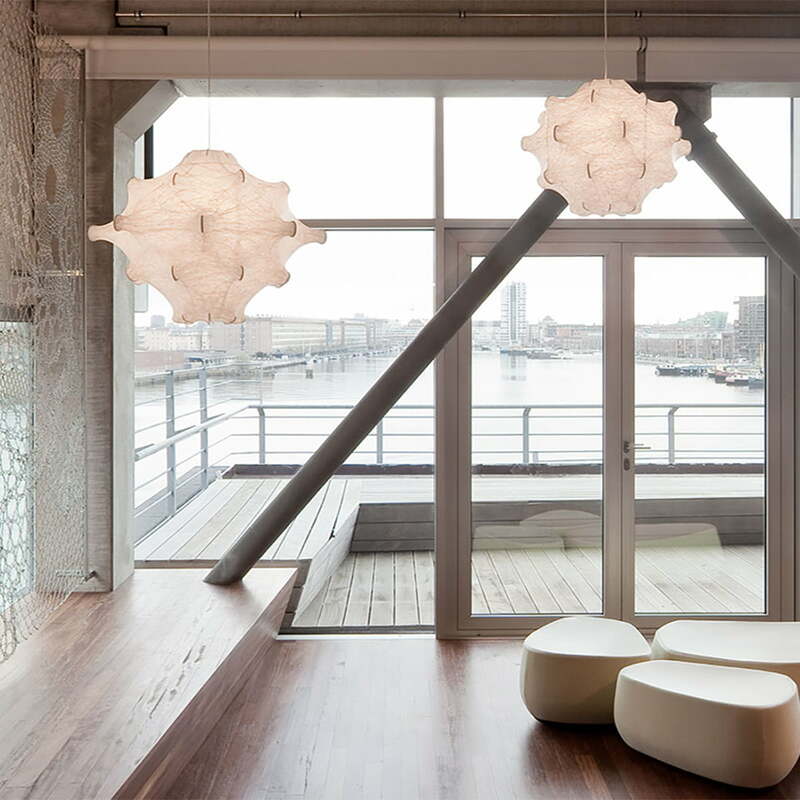 Taraxacum 2 pendant lamp Ø 87 cm in white from Flos in the ambience view. When switched on, the light structure creates an exciting interplay of light and shadow in the room, creating a cosy atmosphere. Taraxacum 2 pendant lamp Ø 87 cm in white from Flos in the ambience view. 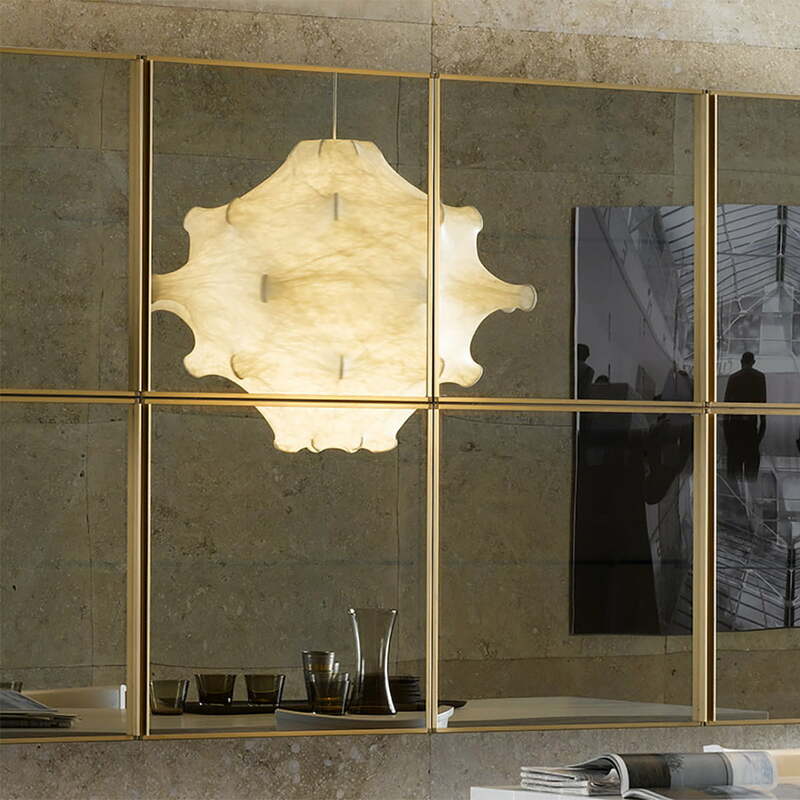 The diffuse light gently illuminates the surroundings without glare, making the luminaire ideal for use above the dining table or as corridor lighting, for example. Taraxacum pendant lamp from Flos in the ambience view. The luminaire can be arranged individually or in groups to create a cosy lighting atmosphere in the room.